This was another fascinating site. Inside the Wat Pho temple in Bangkok, we viewed the Reclining Buddha. It is huge! 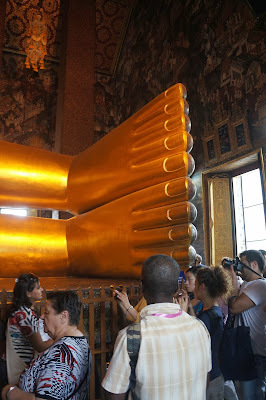 You can tell the scale of the Buddha by looking at the photo below that shows people near the feet. 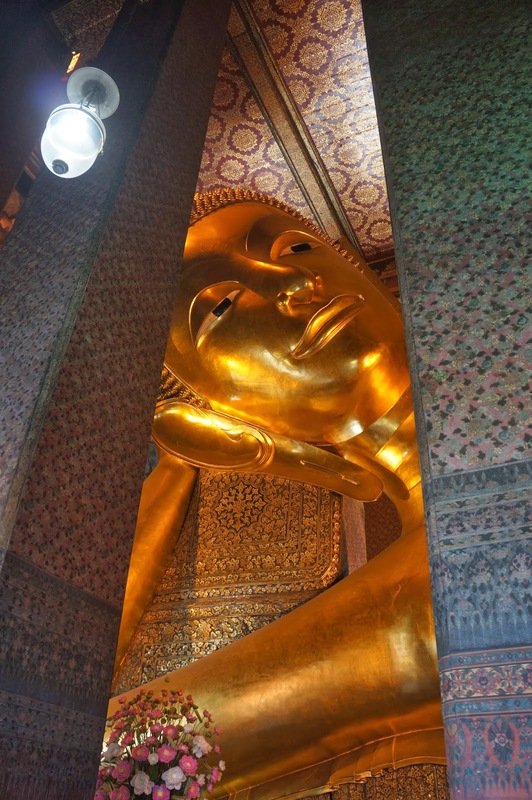 This image is the largest Buddha in Thailand and measures 150 feet in length. bowls, down the wall opposite of where the Buddha reclines. The Buddha in the reclining position does not mean that he is resting or sleeping. Instead this signifies he has reached a state of Nirvana. Outside the temple of Wat Pho, many Buddhas surround the property. 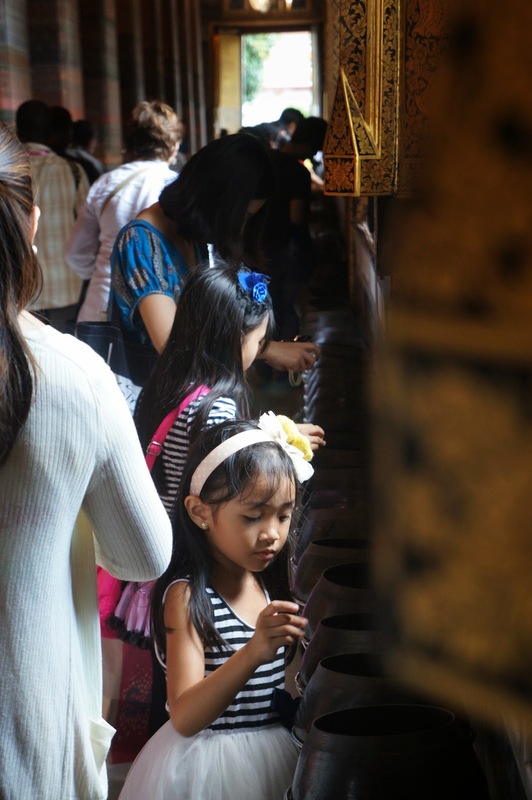 Families can "adopt" a Buddha and have it painted gold or adorn it with an orange robe. It was beautiful and peaceful.